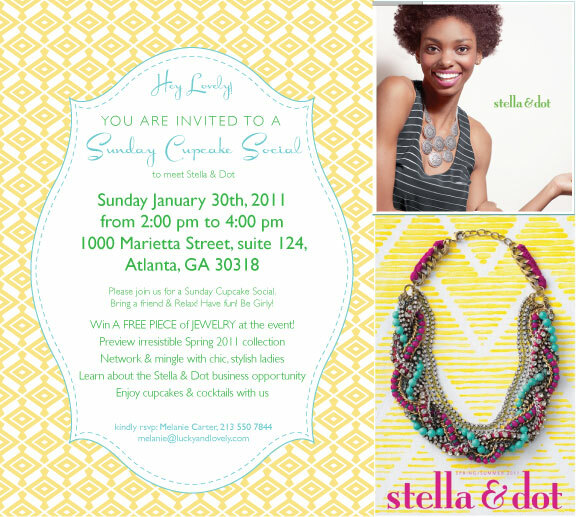 If You're Lucky, You'll Win Some Lovely Stella & Dot! Stella & Dot is a company inspired by and created for strong women. Our friend, Melanie Carter, is indeed a strong woman! She is the editor of the Lucky + Lovely blog and a Curator of lovely things. Melanie is indeed lovely, inspiring and delightful. 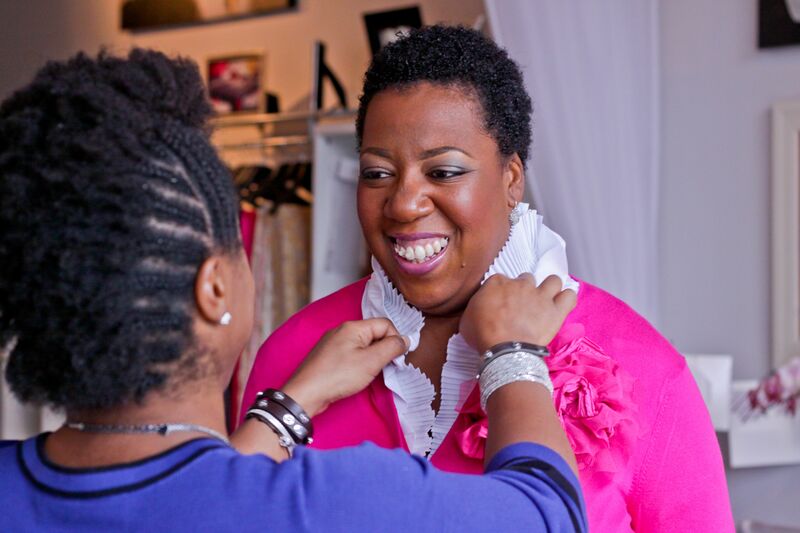 Now you can add stylist to her resume as she has been creating lovely photo shoots for several high profile clients. We were extremely excited that she agreed to style us for our recent shoot with KreativTouch Photography. Melanie provided all of the stunning jewelry from Stella & Dot. She was indeed a blessing to us and we look forward to working with her again soon. In the meantime, Melanie is inviting everyone to a Sunday Cupcake Social at StudioWed Atlanta located at 1000 Marietta Street, Suite 124, Atlanta, Georgia. • Attend to win A FREE PIECE of JEWELRY at the event! ← Let the Celebration Begin!